The Hegawa DTS Saddle can be used to make taps on all pipe types except PE for water and gas applications. This saddle is ideal for pipes covered with polyethylene, but also fits old pipes perfectly. 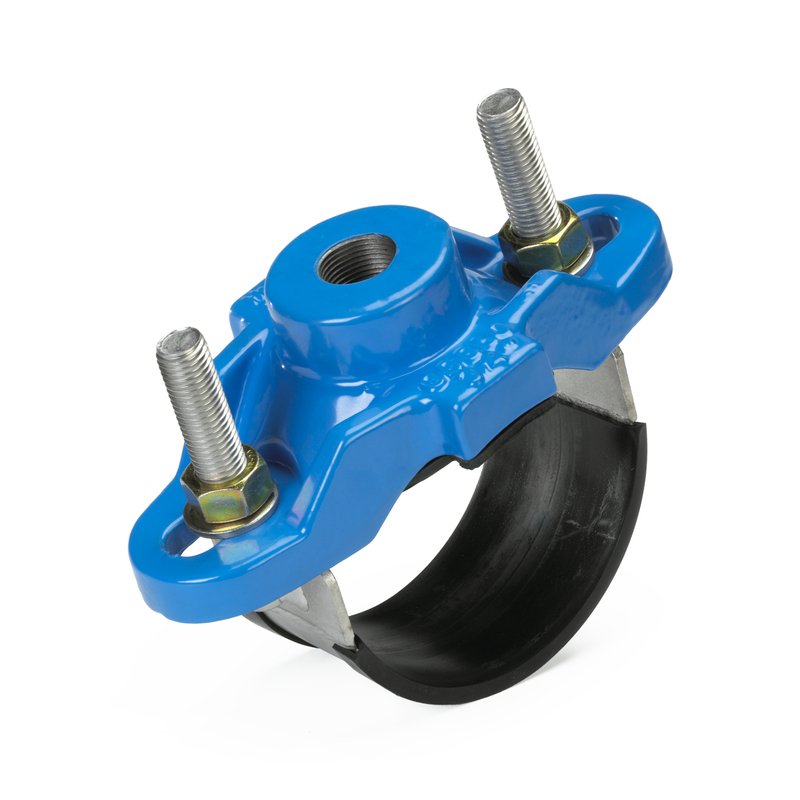 The Hegawa DTS Saddle can be supplied with a tapped service outlet of 1/2” up to including 2”. Special service outlets are available on request. The Hegawa DTS Saddle can be supplied from DN 40 up to including DN 600. Available with branch according to Polva 1 1/2” to 2”. High quality GGG 50 ductile iron. Produced according to DIN 3543, Part 1. Saddle is provided with epoxy coating, EWS epoxy according GSK-diridives RAL-G2-662 DVGW-W-270, which prevents rust. DVGW (G87 e 087) approved. Perfect seal through flat O-ring, which is enclosed in the chamber of the alignment saddle (see drawing). Through a special combination of O-ring and flat ring, a twofold seal is obtained. Ring gasket approved by KTW and DVGW. (G8501 e 608). Standard Rubber is EPDM. Applicable for gas (NBR Rubber is available on request) and water pipes. Applicable for various types of material, such as asbestos-cement, cast iron and steel. Very suitable for pipes covered with polyethylene. When the Hegawa DTS Saddle is placed, the polyethylene layer does not have to be removed. Wide, 100% stainless steel lower bracket. Lower bracket provided with a special rubber band. Stainless steel, electrolytic zinc plated nuts, to prevent fretting. 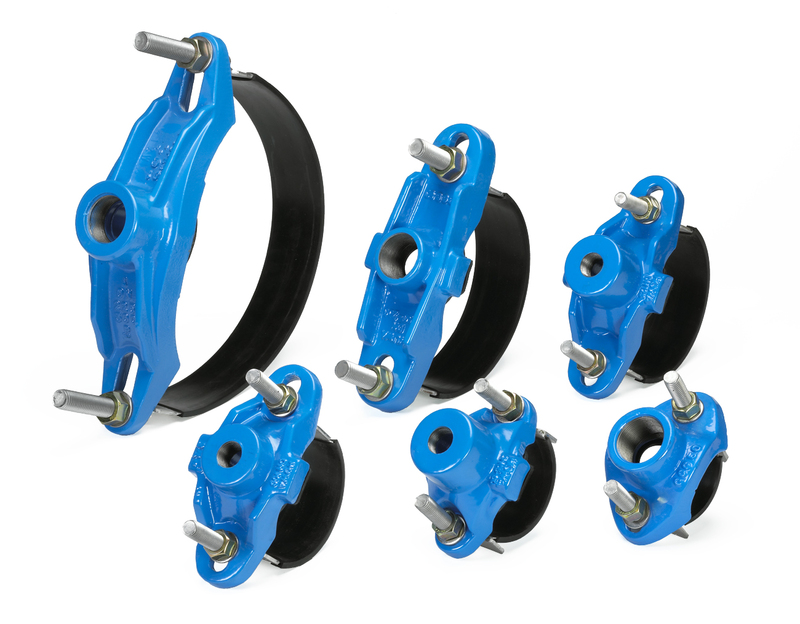 One saddle for various diameters, from DN 40 to DN 600. Reduces stock. Suitable for alignments under pressure.